Tim Berners-Lee, the father of the World Wide Web, listed his top worries for the future of his creation earlier this year. One of his biggest concerns is the increasingly dense terms of service agreements that companies ask users to sign. 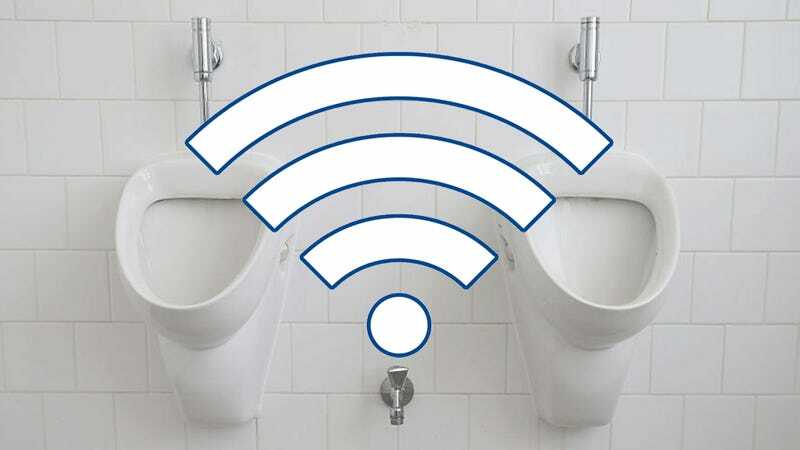 Now, a public WiFi company has demonstrated just how dangerous those complicated agreements can be by inserting absurd conditions that thousands of people unwittingly agreed to. Purple is a Manchester-based company that specializes in running WiFi hotspots for brands like Legoland, Outback Steakhouse and Pizza Express. This week, the company came clean about its two-week experiment in which it inserted a “Community Service Clause” into its terms of service agreement. More than 22,000 people signed up to perform 1,000 hours of menial labor for the chance to check in on their Facebook and maybe look up some directions. There was also a prize offer for anyone who contacted the company and pointed out the clause. Only one person received a prize. It’s unclear if Purple would even be legally allowed to enforce the clause, but it says it won’t even try. This was simultaneously a campaign to raise awareness about the necessity of reading the terms of service, and a marketing stunt to announce that Purple is the first WiFi provider to be compliant under the new General Data Protection Regulation (GDPR). The GDPR guidelines will become enforceable on May 25, 2018, for countries that are part of the European Union. The new regulations are intended to simplify terms and conditions as well as provide more transparency for consumers to understand how their personal data will be used. Here in the US, fancy consumer protections are anathema to freedom and capitalism. So, you might want to be careful.